This major modernist poet was born Christopher Murray Grieve in Langholm, Dumfriesshire. His father was a postman, and the family lived above the town library, granting Grieve unrestricted access to books all throughout his childhood. As a young man he pursued a career in journalism, interrupted by his service in the Royal Army Medical Corps during the First World War. After tours in Salonica, Greece and France, he developed cerebral malaria in 1918 and returned to Scotland. In the 1920s, Grieve became caught up in the new developments sweeping through poetry and literature at the time. After editing three editions of poetry anthology, he founded a monthly literary magazine in 1922, Scottish Chapbook, in which he advocated for a Scots literary revival and published verses under the pen-name "Hugh Macdiarmid". 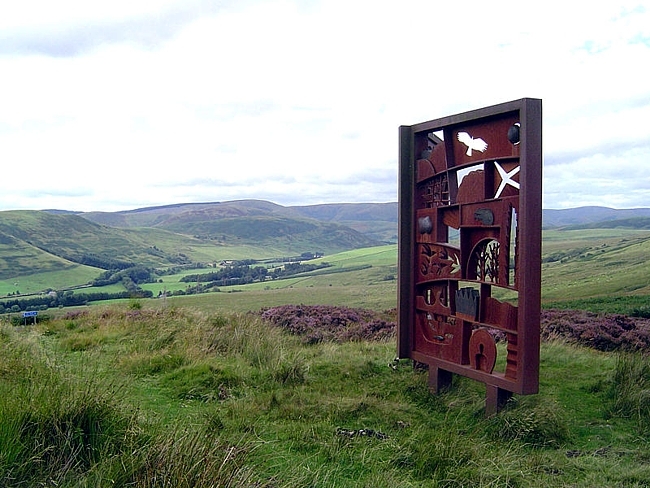 These verses fused the language and rhythm of oral folk ballads and the sense of tradition set by Dunbar and Burns to inject a fresh and vivid awareness of modernist developments into literature. True to its modernist ideologies, Scottish Chapbook's motto was "Not traditions - Precedents!" The poetry presented in the magazine launched a Scottish Literary Renaissance that came to radically alter the very substance and structure of Scottish writing in the first part of the twentieth century. Macdiarmid's poetry and language were intensely political. His radical advocacy of the Scots language sought to revive the language in poetry to assert Scotland's artistic independence, which he believed had become subsumed over the last century by English literature. His early poetry collections, Sangschaw (1925) and Penny Wheep (1926), rejected the English language, opting instead for verse composed of short lyrics composed of synthesized diction of lowland Scots dialects. 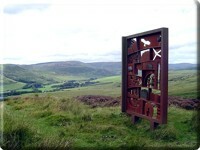 He drew on memory and external sources, such as the archaic language of the Makars (Scotland's late medieval balladeers), to create his own version of Lallands: to him, the Scots language offered "an inexhaustible quarry of subtle and significant sound," and was the only language that could capture a uniquely Scottish sensibility, a notion central to the Scottish Renaissance. Macdiarmid's 1926 long poem, A Drunk Man Looks at the Thistle, landed him critical acclaim, and is hailed today as one of the twentieth century's major modernist works of literature. Thistle, working from precedents set by the other modernist titans, Pound and Eliot, investigated a huge range of cultural, sexual, political, scientific, metaphysical, and cosmic themes, unified through the poet's emotionally charged contemplation of the Scottish condition. It responds to the impact of complex figures of European and Russian literature, particularly Dostoyevsky and Nietzsche, while also offering stinging commentary on contemporary issues such as the UK General Strike of 1926. Macdiarmid was also of deep belief that Scotland was not well-represented politically; thus, in 1928, he assisted with the founding of an independence party, the National Party of Scotland (today the SNP). His political stance shifted even more to the left as he grew older, eventually joining the Communist Party of Great Britain. These alliances collided in the 1930s when he was expelled from both for being involved with the other! Macdiarmid regained entry into the Communist Party, however, in 1957, and in 1964 stood as its candidate against Prime Minister Sir Alex Douglas-Home. 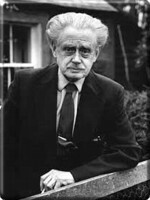 Although Macdiarmid was cut off from cultural developments on the mainland in the 1930s while living in the Shetland island Whalsay, he continued to champion the Gaelic language in Scottish literature and engaged in poetry that spoke in a plurality of voices, languages, and expressional forms. But as he matured as a poet and his interests became global, he turned increasingly to English-language expression, so that his later works are written almost exclusively in English. This didactic shift did not mean that his sympathies had gone Anglo, however: his biography in Who's Who for many years listed his hobby as "Anglophobia."